From Atlanta to Deadpool and the upcoming Joker film, Zazie Beetz is currently one of the actresses whose profile is in an upward trajectory in Hollywood. She has acted alongside big Hollywood names like Gerard Butler, Ryan Reynolds and Josh Brolin, alongside whom she has held her own, showing she has what it takes to act on the biggest stage. Not many would expect a comedy star to make a seamless transition to action and dramatic roles, but like a few exceptional actors and actresses have done before her, Zazie Beetz has been able to make the transition with critical acclaim. The German-American actress is one rising actress to look out for. Learn more about her by reading her profile below. She was born in Berlin-Mitte on the 1st of June, 1991 to a German father, who married an African American woman. Born in Germany, Zazie Beetz spent her first few years in Berlin, attending kindergarten and elementary school, during which time she learned to speak German before her family relocated to Manhattan, New York where she added English to her repertoire of languages. For her education, which had started in Berlin, she continued in New York at LaGuardia Arts High School. After LaGuardia, Zazie attended Skidmore College, where she graduated with a Bachelor’s degree in French. Other schools the actress attended include Harlem School of the Arts and Muscota New School. Zazie Beetz fell in love with acting while she was in grade school, this prompted her to audition at local community theatres for stage roles. She would come to later make a living as an actress, earning her first paycheck for her role in The Crocotta, a short film that was released in 2013; but before that, she worked at one H&M stores in Berlin. Before she began getting cast in major projects, Zazie spent a few years working on short films like Beasts in 2014, Double Blind and 5th & Palisade in 2015. She got her first role in a feature-length film in 2015, starring in James White in a non-speaking role followed by her role as Rain in Applesauce. The actress, who was passionate about the profession kept auditioning, not discouraged by the little success that had come her way yet. Zazie Beetz got her big break in 2016 when she starred in Wolves as Victoria and was cast in the hit comedy show Atlanta, as Vanessa ‘Van’ Keefer. It was her Atlanta role that brought her to the limelight, both due to the popularity of the show and the quality of her performance. Since then, she has starred in major productions, both in TV shows and Film, including Deadpool 2 in 2018, Geostorm in 2017 and the Netflix show, Easy in 2017. She is expected to appear in other productions such as Joker, Wounds, and High Flying Bird. So far, in her short career, Zazie Beetz has been nominated for two awards, for her performances in Deadpool 2 and Atlanta. For Atlanta, she also got an Emmy nomination. 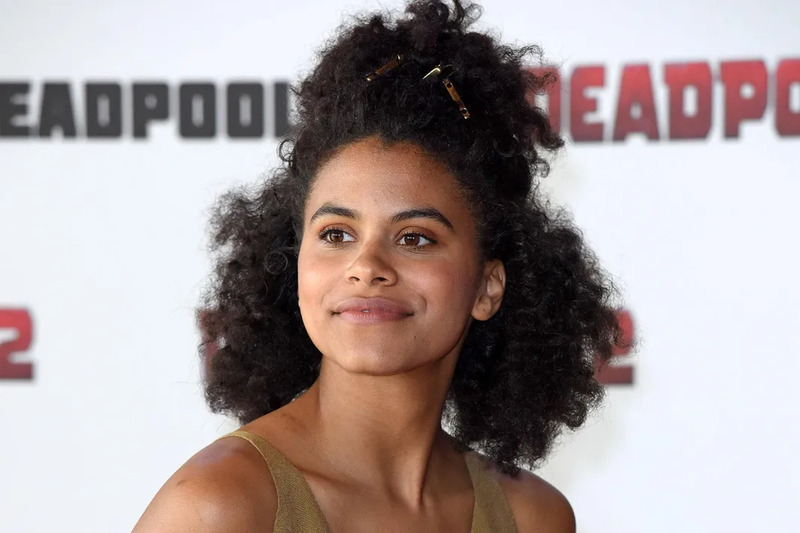 Looking at the life of Zazie Beetz and her upbringing, it is possible that she has one of the coolest parents ever, unfortunately, we do not know their identities. Her father is only known to be German and a cabinet maker while her mother is an African American who works as a social worker. When it comes to relationships, Zazie Beetz currently has little to nothing about her to report. The charming actress, despite her great looks, has been able to keep the circus about her relationship at bay, keeping a tight lid on her relationship status. However, Instagram posts, which is the major exposer of all secrets in Hollywood, show that there is a strong chance Zazie is in a relationship with Revival actor, David Rysdahl. He is a frequent guest on her Instagram posts in several intimate shots. There has, however, been no official confirmation by the actress herself yet. Read Also: Nafessa Williams Parents, Husband, Age, Biography, Is She Gay? Between the general requirements of her career, her role in Deadpool 2, and all-around health benefits, Zazie Beetz has been able to maintain a great body through exercise and fitness training. Her amazing body stands at a height of 5 feet and 6 inches and her weight is recorded at 135 lbs. Her body measurements are 32-23-32 inches for her chest, waist, and hips respectively. The actress’ other prominent body features include her light brown hair and eyes.